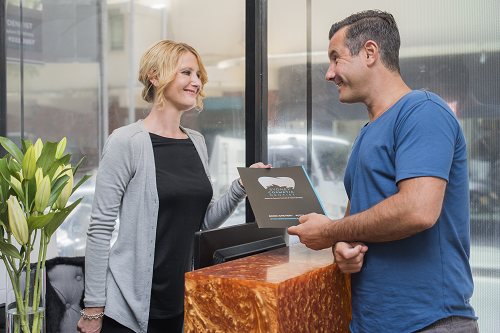 All of the dental team at Sydney Cosmetic Dentist would like to offer you a very warm welcome. We would like you to enjoy your visits, especially as we love building long-term relationships with our patients. It is our aim to ensure everyone visiting our practice receives the highest quality dentistry, most appropriate for their needs. We want you to be able to smile with the confidence of knowing your teeth look and feel great. Our practices are equipped with advanced technology and our principal dentist Dr Peter Poulos is continually attending postgraduate courses, so you will receive up-to-the-minute dental care. With our extensiverange of general, preventative, cosmetic and implant dental services, you can get just about all the dental care you are likely to require in comfortable and relaxing surroundings. Your smile is one of the most endearing yet vulnerable parts of your persona and everybody’s mouth is slightly different. This is why we make sure our patients receive a thorough and honest evaluation of their dental health. We want you to understand your dental health and Dr Poulos will spend time explaining possible treatments, or how to generally improve or maintain a healthy mouth. If you require any treatment, it will be fully customised to meet your oral needs.